One single stone set in the center of this unique mens ring makes it the perfect mens fashion ring or mens wedding ring. This ring is classic in design, but also has a trendy designer mens fashion rings written all over it. 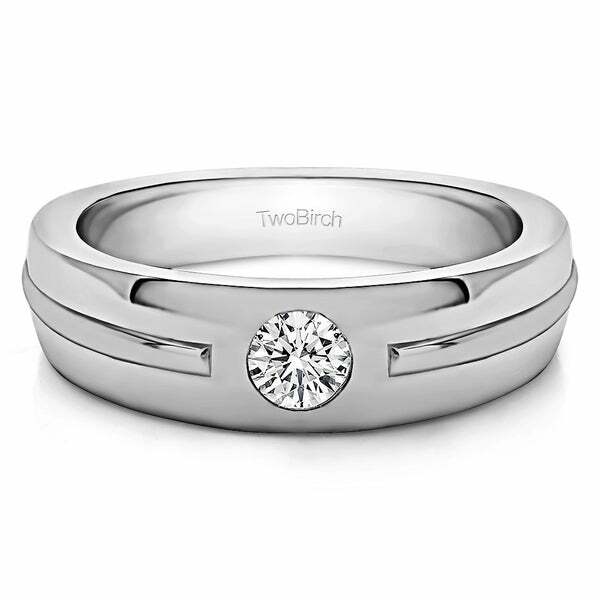 It features a contemporary designed ribbed shank, giving this a very unique mens ring look At TwoBirch, our rings are built to last a life time. Gorgeous White Sapphire is set into solid Sterling Silver. The craftsmanship and quality material ensure rings built to last a lifetime.